St David’s Day is always a point of great national pride for Welsh people. It’s a day that allows those with Cymry heritage to celebrate all the things that makes their country so great. From Welsh Cakes, Tom Jones, Roald Dahl, and the first photograph of the Andromeda Galaxy, Wales has brought the world a plethora of art, science, and culture that often goes unrecognized. But for those who hail from Wales, there is one greater source of pride: the Welsh rugby union side. Every year, as the Six Nations rolls around, I’m forced to take a battery of abuse from my friends. While I may have grown up on the South Coast of England, and have never lived anywhere other than Hampshire or Cornwall, I commit the cardinal sin of supporting Wales. Support of the Dragon can be tricky. But growing up watching rugby with my very Welsh Bampa (Grandad) I was indoctrinated early on. He was rugby mad, as are most Welshmen. Whenever they were on, I’d sit down in the lounge with him and watch the match. As a kid I didn’t really understand the sport or the rules, but I knew when a Welsh try was scored, it was time to celebrate. Yet my friends have always questioned my support: “You weren’t born there” or “you’ve never even lived there, you’re from Hampshire”. I even heard: “I was conceived in Australia, doesn’t mean I can support them in the cricket does it?”. I get it, I do. It’s strange to have split loyalties on a national level. When Daniel Sturridge scored a last minute winner versus Wales in the 2016 European Championship, I was in hysterics. But when it comes to rugby, I have to follow my heart. And when Josh Adams scrambled the ball over the line in the 78th minute against England to secure a Welsh victory last weekend, you can imagine my excitement – or how much it annoyed my St. George sporting flatmates. I’ve never understood why people have such a problem with it. Thanks to the rather apt ‘grandfather rule’, had I been some form of rugby prodigy instead of a lazy sports journalist, I would be eligible to play for the Welsh national side as I have at least one grandparent who was a Welsh national. And it’s hard not to see the irony when many of those who mock me for my national support follow football sides that they live hundreds of miles from, with no relation to them at all. Granted, national identity runs deeper than club support. The innate tribalism of supporting your home country is something rather singular to the domain of sport. 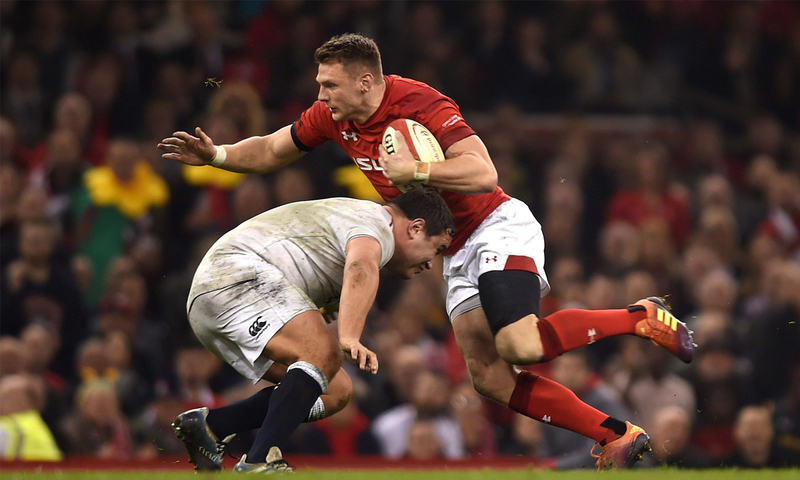 And the bitter rivalry between the home nations in the rugby only further accentuates this, creating a divide greater than might be felt at club level. International competition is a higher-stakes environment, where a loss may not be avenged for years. In the Six Nations, every other country wants England to lose. They are the pantomime villain of the show. But even then, the rivalry between the English and the Welsh could be the biggest in the tournament. The Scots might argue this, but as Wales are the only side that rival England in terms of trophies, there’s the added level of pressure knowing that a loss to each other could cost the side their title chances for the year. Of course, on the occasions we lose to England, it becomes a very long afternoon of boasting and gloating for my friends. But I’m always proud to wear the Dragon. 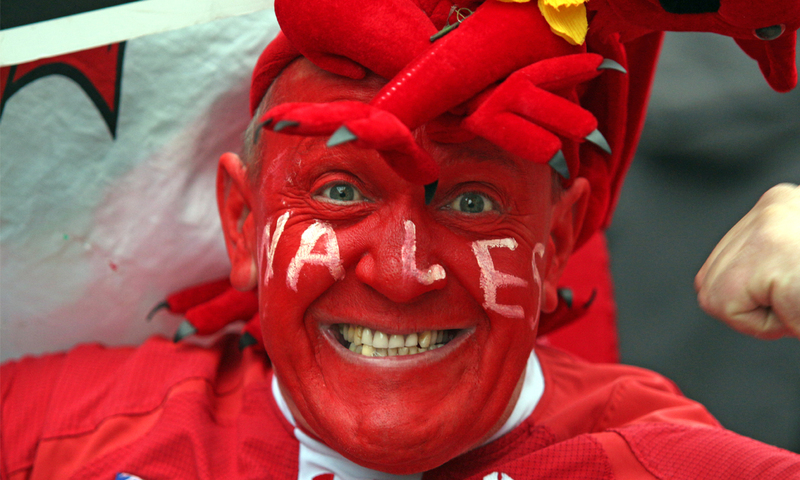 I may not be able to recite the anthem word for word and I can’t even do the accent very well, but whenever the red dragon of Cadwaladr flies and our 15 take the field, for the next 80 minutes, I’m no longer a Luckett, I’m a Samuels – Welsh through and through.